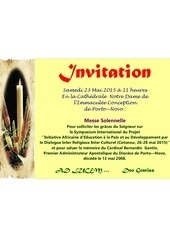 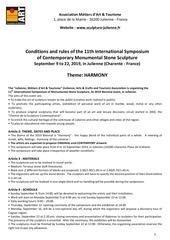 RehabilitarLarquitecturaTradicionalMediterrania Réhabiliter l'architecture traditionnelle méditerranéenne Symposium régional Regional Symposium Marseille, le 23, 24 et 25 de septembre 2005 Marseilles, 23rd, 24th and 25th September 2005 Rehabilitating Traditional Mediterranean Architecture Réhabiliter l’architecture traditionnelle méditerranéenne Symposium régional Marseille, le 23, 24 et 25 de septembre 2005 Regional Symposium Marseilles, 23rd, 24th and 25th September 2005 Rehabilitating Traditional Mediterranean Architecture Consortium RehabiMed Project Manager Xavier CASANOVAS. 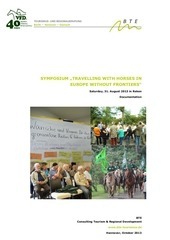 English Dokumentation VFD Symposium Reken N B dw TOURISMUS- UND REGIONALBERATUNG Berlin ▪ Hannover ▪ Eisenach SYMPOSIUM „TRAVELLING WITH HORSES IN EUROPE WITHOUT FRONTIERS“ Saturday, 31. 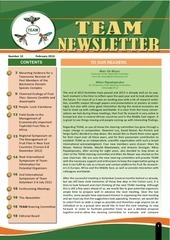 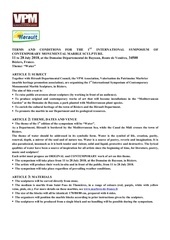 Prceeding 5th MSMV Marine Vegetation R A C / S P A PROCEEDINGS OF THE 5th MEDITERRANEAN SYMPOSIUM ON MARINE VEGETATION Portorož, Slovenia, 27-28 October 2014 ACTES DU 5ème SYMPOSIUM MÉDITERRANÉEN SUR LA VÉGÉTATION MARINE Portorož, Slovenie, 27-28 octobre 2014 Regional Activity Centre for Specially Protected Areas (RAC/SPA) © Sandrine Ruitton Boulevard du Leader Yasser Arafat | B.P. 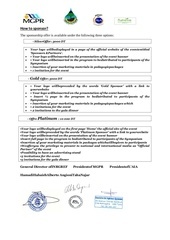 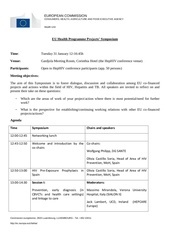 Proceedings 2nd MSC&CBC Coralligenous R A C / S P A PROCEEDINGS OF 2nd MEDITERRANEAN SYMPOSIUM ON THE CONSERVATION OF CORALLIGENOUS AND OTHER CALCAREOUS BIO-CONCRETIONS Portorož, Slovenia, 29-30 October 2014 ACTES DU 2ème SYMPOSIUM MÉDITERRANÉEN SUR LA CONSERVATION DU CORALLIGÈNE ET AUTRES BIO-CONCRÉTIONS Portorož, Slovenie, 29-30 octobre 2014 Regional Activity Centre for Specially Protected Areas (RAC/SPA) © Sandrine Ruitton Boulevard du Leader Yasser Arafat | B.P. 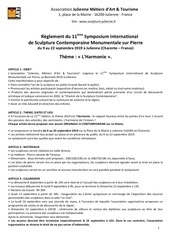 Proceeding 1st MSDH Dark habitats R A C / S P A PROCEEDINGS OF THE 1st MEDITERRANEAN SYMPOSIUM ON THE CONSERVATION OF DARK HABITATS Portorož, Slovenia, 31 October 2014 ACTES DU 1er SYMPOSIUM MÉDITERRANÉEN SUR LA CONSERVATION DES HABITATS OBSCURS Portorož, Slovénie, 31 octobre 2014 Regional Activity Centre for Specially Protected Areas (RAC/SPA) © OCEANA Boulevard du Leader Yasser Arafat | B.P. 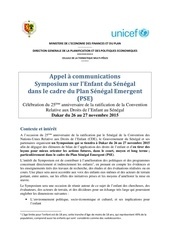 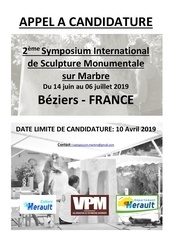 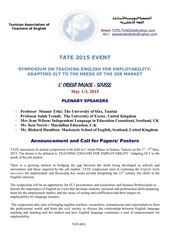 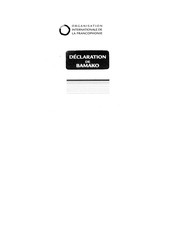 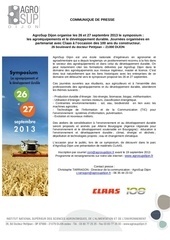 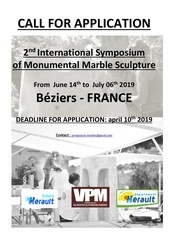 TERMS AND CONDITIONS Symposium Bayssan france TERMS AND CONDITIONS FOR THE 1ST INTERNATIONAL SYMPOSIUM CONTEMPORARY MONUMENTAL MARBLE SCULPTURE. 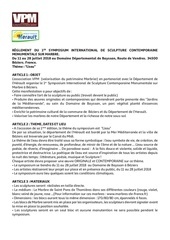 Français Réglement Symposion Domaine de Bayssan RÈGLEMENT DU 1ER SYMPOSIUM INTERNATIONAL DE SCULPTURE CONTEMPORAINE MONUMENTALE SUR MARBRE. 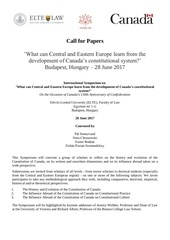 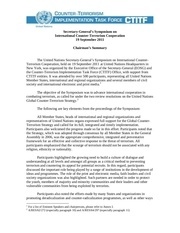 Call for Papers Canada 150 Budapest 28 June Call for Papers ’What can Central and Eastern Europe learn from the development of Canada’s constitutional system?’ Budapest, Hungary – 28 June 2017 International Symposium on ’What can Central and Eastern Europe learn from the development of Canada’s constitutional system?’ On the Occasion of Canada's 150th Anniversary of Confederation Eötvös Loránd University (ELTE), Faculty of Law Egyetem tér 1-3.
chairman summary sg symposium Secretary-General’s Symposium on International Counter-Terrorism Cooperation 19 September 2011 Chairman’s Summary The United Nations Secretary-General’s Symposium on International CounterTerrorism Cooperation, held on 19 September 2011 at United Nations Headquarters in New York, was organized by the Executive Office of the Secretary-General (EOSG) and the Counter-Terrorism Implementation Task Force (CTITF) Office, with support from CTITF entities. 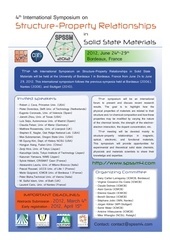 flyer 1 4th International Symposium on Structure-Property Relationships in Solid State Materials 2012, June 24th-29th Bordeaux, France The 4th International Symposium on Structure-Property Relationships in Solid State Materials will be held at the University of Bordeaux 1 in Bordeaux, France from June 24 to June 29, 2012.